So the month of February we are devoted to the theme ’Cleansing’. 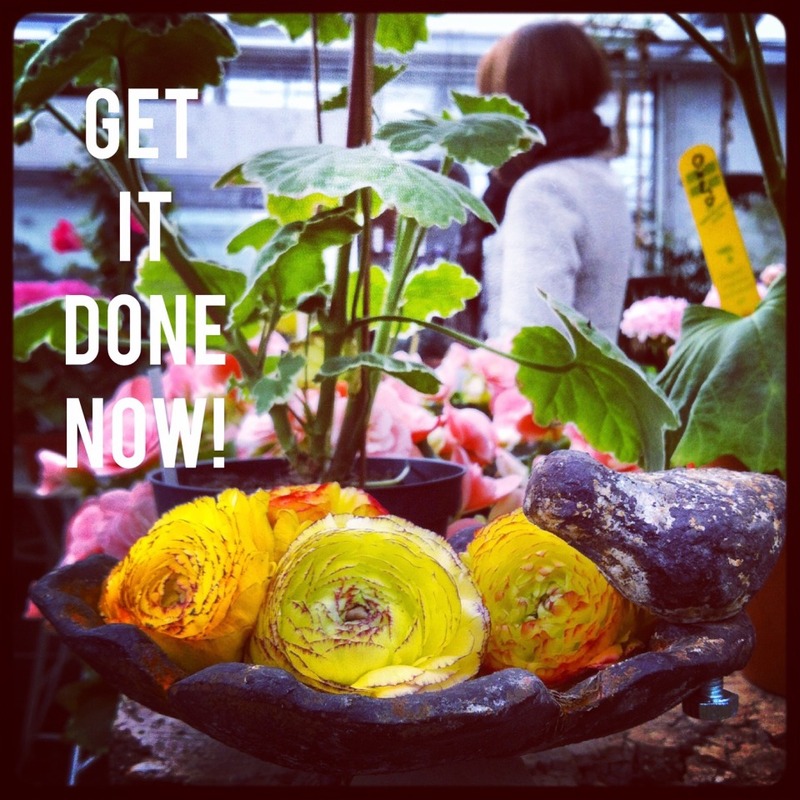 One might think I’ll spend this post writing about detoxing, juicing, eating kale and what not, but what actually caught my mind this week was a method called GTD, ’Getting Things Done’. The method is created by David Allen and it’s basically a productivity method for living a stress free life. David Allen is promoting the idea that the brain is not meant to be used as a storage unit, but to THINK with. And in order to be able to use it with it’s full capacity we need to empty it of all things that could weaken our level of think-ability. Since I’m someone always on the hunt for becoming more effective and productive, and especially since I’m a writer I’m often looking for methods to enhance my focus. What above all else struck me about GTD when the coach went through the method was how often things pop up in my head when I the most need an undivided attention for something. And let’s not even talk about all the unfindable little ideas, screenshots etc I store on my Iphone. Apparently this is what happens when we use our minds as storage units and don’t have reliable methods for reminders. GTD is a method in 5 seemingly simple step. And in fact, the steps are really simple, it’s just that it will take some time to set up a workable system and most of all it demands a continuous slavery to it in order for it to work. But at the moment, I am truly blown away by what it can give me in terms of brain space and focus. Step 1 is called CAPTURE. It means you should collect everything that has your attention, whatever it is, big or small. Write down all that is on your mind, every single thought and idea. Collect all the notes, little things or articles you have saved, personal and professional. All your lists, projects and things to handle, or finish. EVERYTHING. Step 2 is called CLARIFY. It means it’s time to process what the STUFF you captured in step 1 means. So after you have captured all that is having your attention you simply ask yourself what to do with it. Is it trash, is it actionable or is it something to save for reference? And if it takes less than 2 minutes you act on it straight away. If it takes more than 2 minutes you either delegate it (if you can) or put it on a to do list. Step 3 is called ORGANIZE. It means you simply put it where it belongs. You put the actionable items on the right list, because the trick in this method is to have separate folders/lists for different categories in your life and business. Then you plan when to do the action and you set reminders so you don’t have to keep it in your mind. Step 4 is called REFLECT. It means we are to review our lists and folders frequently, as often as required in order for you to know what to do next. Here we also update our lists, clean them up and clear our minds! Step 5 is called ENGAGE and it’s time to just simply DO! And what you will find if you will try this method out, is that your mind is so much more focused and clear on what to do. I’m a total newbie, but I have absolutely fallen in love with the method, because in a second I had upped my productivity and most of all I have gotten a better focus when working. Who doesn’t want a clear mind, and spend one’s good brainpower on working instead of being interrupted by drifting thoughts?